Orange-bellied Parrots (OBPs; Neophema chrysogaster) are Critically Endangered, with less than 20 wild birds returning to the breeding grounds in Tasmania for the 2016/17 breeding season. OBPs are one of only two Australian parrots which migrate: individuals spend the breeding season (summer) in Tasmania and migrate to the mainland during the non-breeding season (winter). 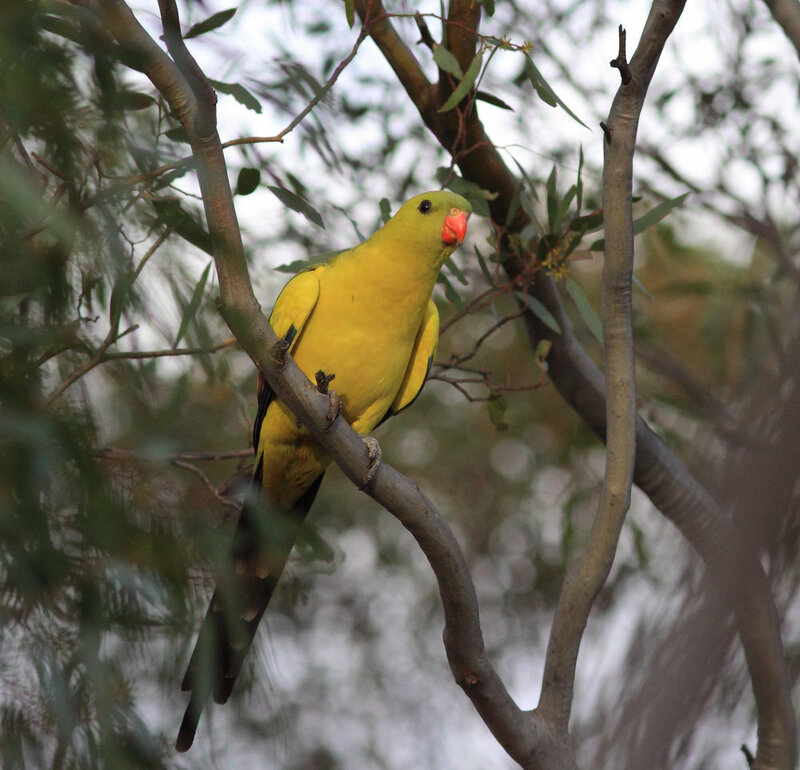 On the mainland, OBPs have historically been observed in coastal habitat in South Australia and Victoria, with some individuals being observed as far north as New South Wales. Since 1979, community volunteers have participated in coordinated, simultaneous surveys searching for OBPs in likely winter habitats throughout their wide distributional range on the mainland. This program represents one of Australia’s longest running community monitoring efforts for a threatened species. The information collected by volunteers provides vital information to the National OBP Recovery Team, such as the numbers, identity, and locations of birds wintering on the mainland. This data is coupled with data from summer monitoring to help track the trajectory of the wild population, and formulate future recovery efforts. For more information about the OBP project please visit the website, or contact Amy Adams at amy.adams@birdlife.org.au or 03 9347 0757.